The Broke and the Bookish : Top Ten Worlds We'd Never Want To Live In! 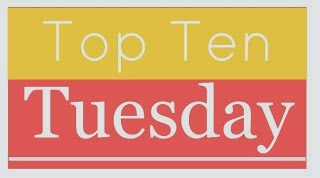 This week's Top Ten Tuesday revolves around worlds that we would NEVER want to live in, or characters you'd never want to trade places with. With all the dystopian and post-apocalyptic stuff out there right now, it's not too hard to pick a few. 1. The world in Rick Yancey's The 5th Wave. I don't know about you all, but the ENTIRE time I was reading this book I felt so grateful I didn't have to be in this vision of Earth. Never have I been so grateful that hostile alien lifeforms weren't targeting our planet. 2. The world in Susan Beth Pfeffer's Life As We Knew It. I felt an incredible desire to stock up on canned foods after reading this book. 3. Much as I love these books, the world in Derek Landy's Skulduggery Pleasant series. Because honestly, I would be one of the pitiful mortals without magic who would probably get stuck in the middle of a vampire slaughter, wizard battle, or Faceless Ones attack. And I would have absolutely no idea what was going on. 4. The world in Ernest Cline's Ready Player One. I would hate to live in a world where the only happy places were online, everyone interacted online for the most part, and 1980s pop culture knowledge was your ticket to popularity. Also the environment is pretty much dead. 5. The world in Daniel H. Wilson's Robopocalypse. Because I would most likely die a painful, robot-induced death, and if not I would constantly be fearing for my life and would probably have lots of dead family and friends. 1. The Hunger Games by Suzanne Collins: Yeah, seriously. I don't want to ever have a government like that with the Hunger Games and the districts and such. No WAY. I would never have kids because I would never want them to ever have to deal with the reapings and such. 2. Delirum by Lauren Oliver: I don't want to live in a world where love is not okay. That sentence just sounds like a bad song or something right? Let me feel my feels! 3. Legend by Marie Lu: I would not be cut out for this world at all. So much fighting and I would hate the tests to be part of the military world and I wouldn't want to live in those slums plus the virus stuff and I just would never want to be in this one. 5. Blindness by Jose Saramago: This book depressed the hell out of me. I just...wow. This world. Basically some sort of thing happens that causes everyone to catch this blindness and all the people who are blind get thrown in this hospital to live and things just are not good. I could never handle having this blindness happen so suddenly and being thrown into those awful conditions where people are trying to survive. What about you? What worlds in books would you never want to live in? Funny that The 5th Wave is included here, because I added it to my list as the one scary setting I'd actually like, just because my greatest hope is that we make contact with aliens. And I'm on board with no Hunger Games. Ooh I love that you mentioned Ready Player One! The digital world dystopias are scary, and not to mention those 80s pop culture challenges were tough! It would be sad to live in a world like Delirium's. Blindless is new to me but sounds very bleak. Fun and challenging topic this week! Panem topped my list of places I would never want to be. What a great topic idea! I always hear about books people WANT to live in, but I never see these lists. This is a fantastic list girls! I planned to start Skulduggery Pleasant tonight and had no idea what to expect, but you've blown my mind in a sentence, it sounds great, but scary. There's some on this list I've never heard of, like Bumped and Blindness, so I'll have to look them up, but there's some I 100% agree with you on! I agree on The Hunger Games, Delirium, and The 5th Wave! I haven't read the others, unfortunately. Oh definitely The Hunger Games! That didn't make my list, but that's only because I haven't read the book so I didn't feel right putting it lol. Judging from the movie though ... yeah, I would NOT be living there! A lot of Jamie's were on my list too! Are there *any* dystopias that you would want to live in? There is a plethora of terrible worlds out there to avoid. I wouldn't want to live in a Brave New World either. I like your list! Obviously I have some more reading to do to visit these not so lovely places myself. 5th Wave was so scary I couldn't even get past chapter one...too scary for me! Here's my list of Book-ish Worlds I'd Never Want to Live In. The Hunger Games, Delirium and A Song of Ice and Fire are definitely no-no's for me! Any dystopian world, for the most part, skeeves me out, especially since many of them are actually possible. I included the Hunger games and Delirium on my list this week as well. I think we will be seeing a lot of those today. Great list!! I highly doubt there's anyone who would want to live in Panem. Just saying. I couldn't decide whether I liked the 'Worlds I wouldn't want to live in' or 'Characters I wouldn't want to trade places with' theme better, so I kind of combined them. I can't believe I didn't think of The Hunger Games! It took me forever to come up with my list this week. Have a great week. I need to read a lot of these, but great list! I don't know how I didn't think about adding The Hunger Games. There is no way I could live in that kind of world! I wouldn't have wanted to live in the Hunger Games either! I'm not surprised that The Hunger Games is on the top of almost everyone's list this week. It would be AWFUL, even if you're too old to take part in the Reaping. I wouldn't even want to live in the Capitol because watching kids die is not something I would want to do. I completely agree about The 5th Wave and Life As We Knew It. Legend, Delirium, Ready Player One and The Hunger Games all made my list too. There are so many dystopian and post-apocalyptic books that it is hard to choose for this list. I would agree about Delirium, I could not handle a world without love. I definitely see your point about Legend but at the same time I would want to see that world, and see June and Day. Wierd I know! I laughed out loud at the stocking up on cans after reading Life As We Knew It - I read that book a few months ago and I'm still fighting a strong urge to fill my pantry. I don't want to be stuck fighting for the last can of something disgusting!